It is now 7 months since my last post, February 1st, on the occasion of celebrating the 39th anniversary of being “Born Again,” making me 70 going on 40. Since a Red Line was drawn in that article, and the Spirit moved me to insert “…to be continued” something I never did with any previous article, I had to pause and wait to see what would develop Spiritually and temporally in this world. In terms of crossing the Red Line, much has happened since February 1st. On February 21, a new regime took over in the Ukraine, setting Russia and the West on a collision course over Crimea. In my assessment, neither side is backing down, and with more and more economic sanctions being placed on Russia that will have a boomerang effect, what The Kansas City Times published September 13, 1976 is now activated and coming into view, “He wanted to bring to the public’s attention an idea being put out “subtly and deceptively” by the government: That “we have to get prepared for a war with Russia.” The mini-world war in Syria is expanding into Iraq, the Middle East, and the larger world in General. The Islamic State on the move, is attempting to recreate the original 600 year Ottoman Empire/Caliphate that was centered in Turkey, and ended with WWI. That would explain why Turkey, being a NATO member, is becoming more Autocratic and supportive of ISIS. I see this as a parallel development with Israel trying to recreate the Israel from king David’s Time so long ago, leading to that Great Day of the Battle of Almighty God, the Christian Bible prophesies will come to this world. The latest murderous bombardment of the civilian population in the Gaza Ghetto by Israel is also symptomatic of the hatred and violence increasing in this world since February 1st. This brings me to the latest ‘Sign of the Times’ we live in, and which happened since February 1. Those who keep watch, would find it interesting to note the latest move by the IS in Iraq. They just blew up the Islamic Mosque that contained the tomb of Jonah in the Whale fame, from the Jewish-Christian scriptures, recorded some 2900 years ago. 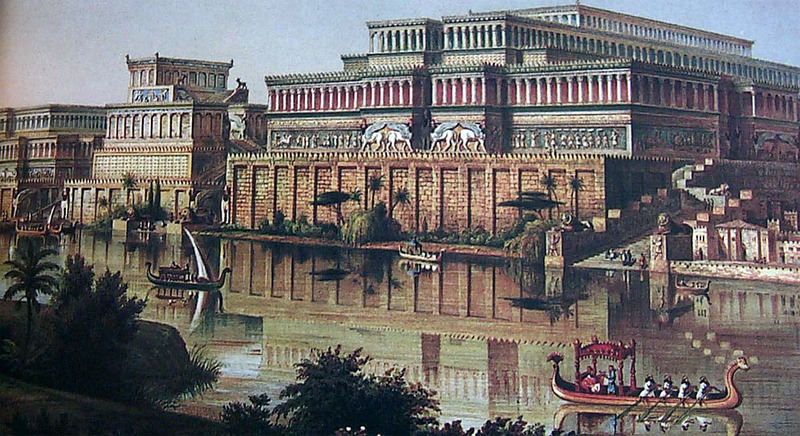 For those who don’t know the story, the ancient Biblical World City of Nineveh was becoming wicked and violent. God chose Jonah, and told him to go tell the people of the city if they didn’t change their ways, the city would be destroyed. Naturally, Jonah didn’t want to do that and tried to get away. This would be the same as God telling anyone today to warn the world, starting with your friends and neighbours, to change or be destroyed. Who wants to be a buzz kill like that? 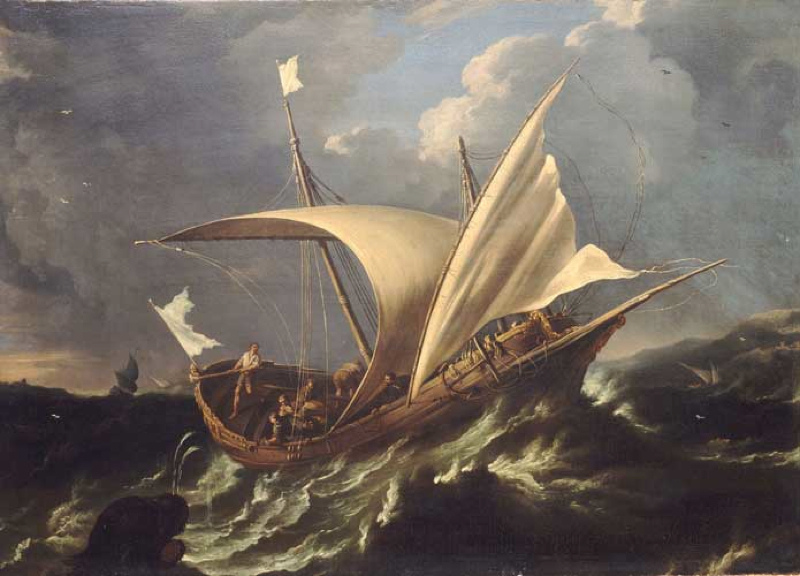 Jonah tried to escape by taking a cargo ship to another City. A great storm came up, and the sailors, in fear for their lives, tried to lighten the ship by throwing all the valuable cargo overboard. The terrified sailors found Jonah sound asleep in the bowels of the ship and woke him up. So the shipmaster came to him, and said unto him, What meanest thou, O sleeper? arise, call upon your God, if so be that God will think upon us, that we perish not. Then they said to him, Tell us, we pray you, for whose cause this evil is upon us; What is your occupation? and where are you coming from? 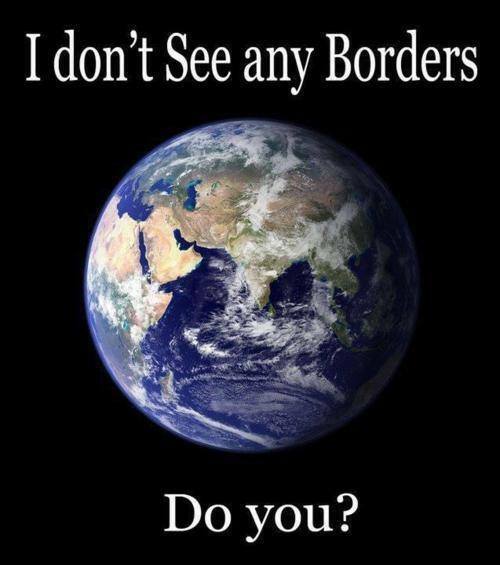 what is your country? and of what people are you? And he said to them, I am a Hebrew; and I fear the LORD, the God of heaven, which has made the sea and the dry land. Then were the men exceedingly afraid, and said to him, Why have you done this? For the men knew that he fled from the presence of the LORD, because he had told them. Then they said to him, What shall we do to you, that the sea may be calm to us? for the sea wrought, and was tempestuous. And he said to them, Take me up, and cast me forth into the sea; so shall the sea be calm unto you: for I know that for my sake this great tempest is upon you. Nevertheless the men rowed hard to bring it to the land; but they could not: for the sea wrought, and was tempestuous against them. Wherefore they cried unto the LORD, and said, We beseech You, O LORD, we beseech you, let us not perish for this man’s life, and lay not upon us innocent blood: for you, O LORD, have done as it pleased you. So they took up Jonah, and cast him forth into the sea: and the sea ceased from her raging. Jonah finally did come to his senses, and returned to Nineveh to do what God commanded. It took 3 days to walk through the City, but just 1 day into it, everyone, from the king on down, resolved to change. And Jonah began to enter into the city a day’s journey, and he cried, and said, Yet forty days, and Nineveh shall be overthrown. So the people of Nineveh believed God, and proclaimed a fast, and put on sackcloth, from the greatest of them even to the least of them. For word came unto the king of Nineveh, and he arose from his throne, and he laid his robe from him, and covered him with sackcloth, and sat in ashes. And he caused it to be proclaimed and published through Nineveh by the decree of the king and his nobles, saying, Let neither man nor beast, herd nor flock, taste any thing: let them not feed, nor drink water: But let man and beast be covered with sackcloth, and cry mightily unto God: yea, let them turn every one from his evil way, and from the violence that is in their hands. Who can tell if God will turn and repent, and turn away from his fierce anger, that we perish not? And God saw their works, that they turned from their evil way; and God REPENTED OF THE EVIL, that he had said that he would do unto them; and he did not do it. This is such an interesting and hopeful thought! The people were on the path to destruction if they continuedand God was going to bring that evil and wickedness upon the people. But the people stopped doing their wicked and evil things, and God stopped the evil that was in store for the people engaging in that kind of behaviour. Jonah was angry. 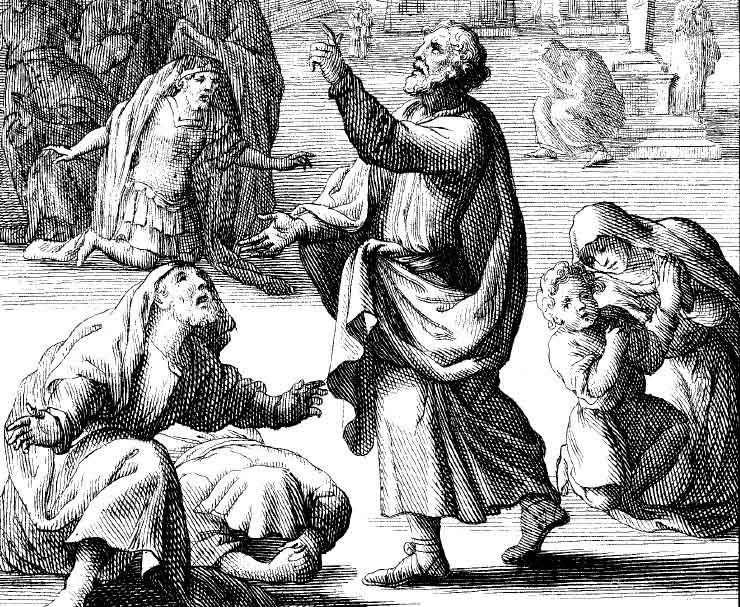 He wanted God to destroy the City, and there are many Jonah type people among us Today. 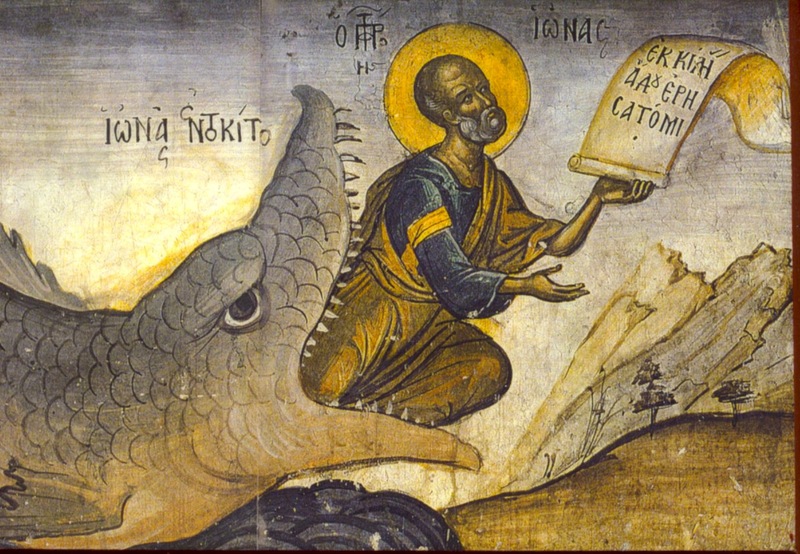 Personally, I always thought the story of Jonah being swallowed by a whale or big fish was an allegory. Spending 3 nights in the belly of a fish symbolized there is no place to hide, to run to, to escape the hand of God as Christ Jesus said 850 years later. Then certain of the scribes and of the Pharisees answered, saying, Master, we would see a sign from you. But he answered and said to them, An evil and adulterous generation seeks after a sign; and there shall no sign be given to it, but the sign of the prophet Jonas: For as Jonas was three days and three nights in the whale’s belly; so shall the Son of man be three days and three nights in the heart of the earth. The men of Nineveh shall rise in judgment with this generation, and shall condemn it: because they repented at the preaching of Jonas; and, behold, a greater than Jonas is here. We now see the Sign with this recent event in Nineveh, Iraq In searching Google images for this article, I came across this one. Everyone should understand why it would be more interesting for me than for anyone else. 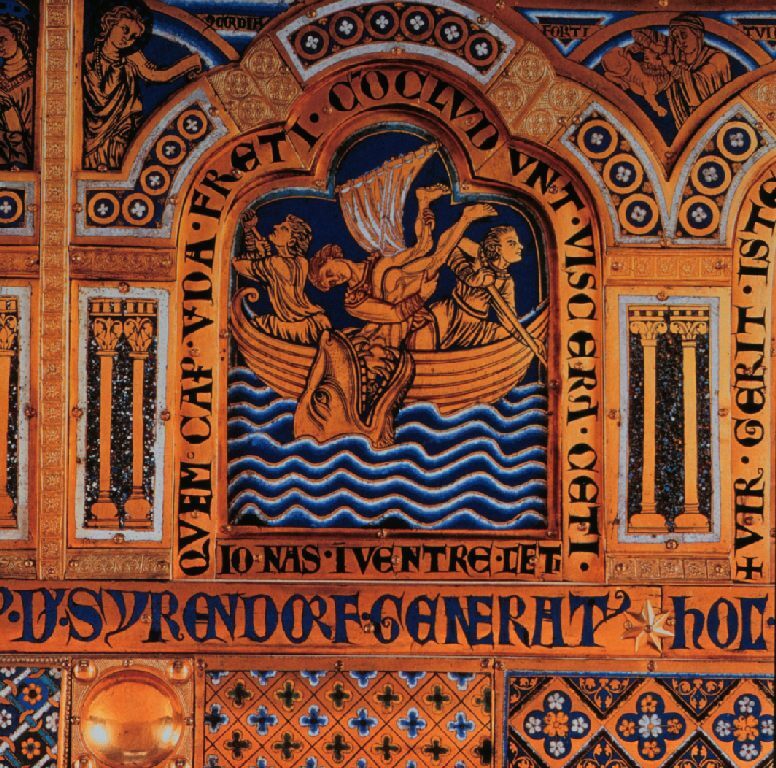 The name of this art is, ‘Jonah in the Whale_Verdun_altar? I was born in Verdun, Quebec, so I have to wonder more! Everyone can see the Nations are angry, and getting angrier in this material world, but which wrath is which? Thus says the LORD, The heaven is my throne, and the earth is my footstool: where is the house that you build unto me? and where is the place of my rest? For all those things have my hand made, and those things have been, says the LORD: but to this man will I look, even to him that is poor and of a contrite spirit, and trembles at my word. Let ALL those who seek YOU, Rejoice and be Glad in YOU. Let SUCH who LOVE YOUR Salvation say continually, The LORD BE MAGNIFIED!